What's better than spending the day with Dad doing something you both love? Like coin collecting! 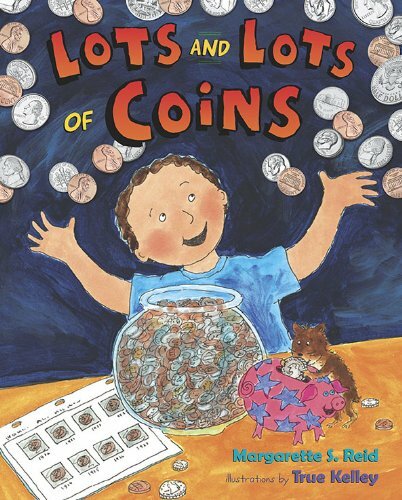 In this follow-up to the bestselling The Button Box, a young boy discovers the joys of being a numismatist. He finds out about the value of coins, what people used before coins, and why historical images and people appear on coins. Margarette S. Reid and True Kelley present a colorful and exuberant look at one of America's favorite hobbies. Educators and parents will appreciate how Lots and Lots of Coins introduces math, language arts, and social studies concepts.